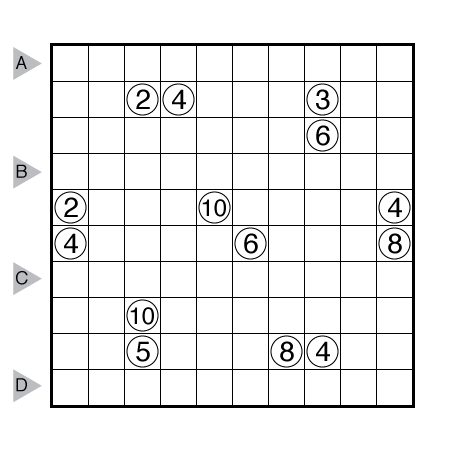 Author/Opus: This is the 120th puzzle from our contributing puzzlemaster Murat Can Tonta. Answer String: Enter the length in cells of each of the white segments from left to right for the marked rows, starting at the top. Separate each row’s entry with a comma. This example has the key “14,221”. 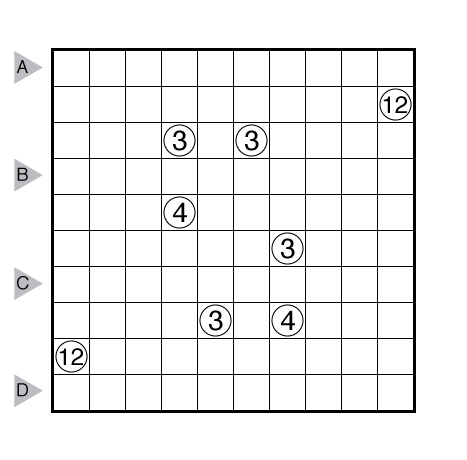 Note: Follow this link for more Kuromasu puzzles. 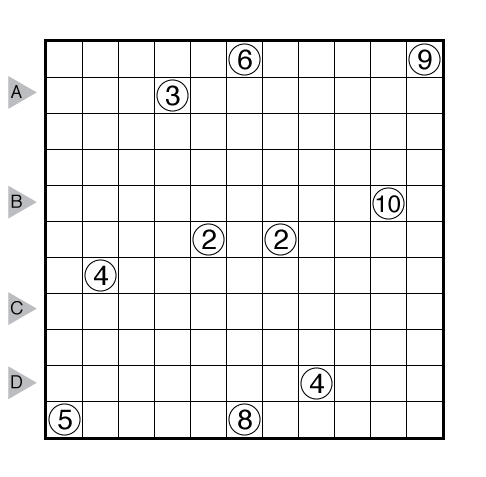 Author/Opus: This is the 43rd puzzle from our contributing puzzlemaster Prasanna Seshadri. Answer String: Enter the length in cells of each of the white segments from left to right for the marked rows, starting at the top. Separate each row’s entry with a comma. This example has the key “23,15”. 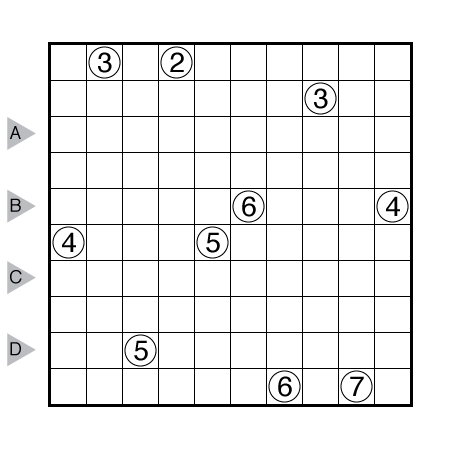 Note: Kuromasu is a new puzzle for us this week and we are curious to hear what you think of it. 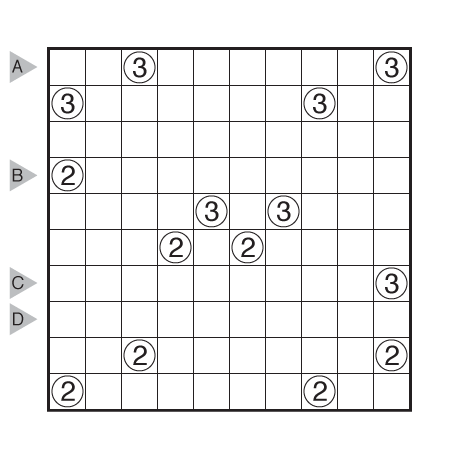 Author/Opus: This is the 42nd puzzle from our contributing puzzlemaster Prasanna Seshadri. Author/Opus: This is the 8th puzzle from guest contributor Murat Can Tonta. Author/Opus: This is the 7th puzzle from guest contributor Murat Can Tonta. 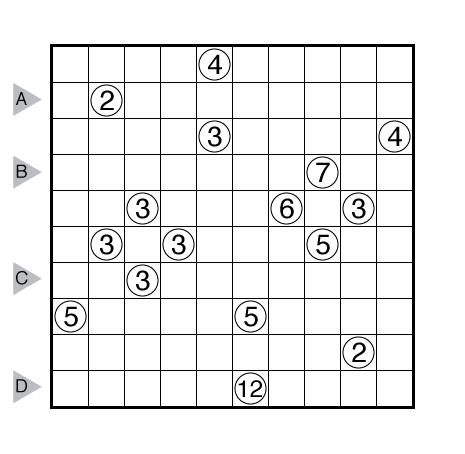 Author/Opus: This is the 191th puzzle from Thomas Snyder, aka Dr. Sudoku. 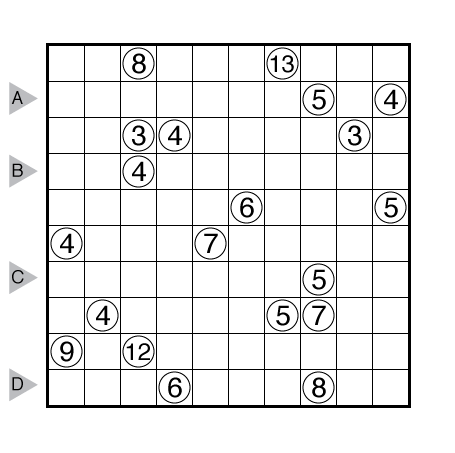 Author/Opus: This is the 190th puzzle from Thomas Snyder, aka Dr. Sudoku.